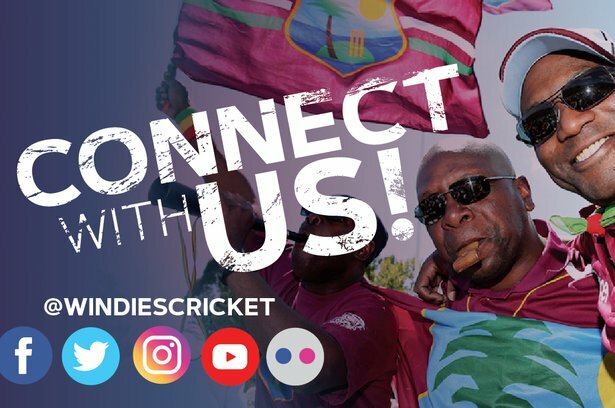 Jan. 26, 2019, 8:45 p.m.
BRIDGETOWN, Barbados – To the loud singing of the chorus of David Rudder’s classic “Rally Round the West Indies” by a few hundred of their supporters in attendance, WINDIES soared to a 381-run victory on the wings of a stunning, career-best spell from Roston Chase in the first Wisden Trophy Test against England today here. The part-time off-spinner, affectionately known to teammates as “Red Bull”, grabbed 8-60 from 21.4 overs, as the English were bowled out in their second innings for 246 – coincidentally, the Barbados telephone area code – about an hour and 15 minutes before the scheduled close on the penultimate day of the Test at Kensington Oval here. Fittingly, Chase, whose father Radcliffe watched from the perch of the second level of the Three Ws Stand, formalised the result, when he had Sam Curran stumped down leg-side for 17 to finish with the second-best figures by a WINDIES bowler against England in a Test and sixth overall. In terms of runs, the victory was the third largest margin by the WINDIES in Test ever and second largest over England. It was also their second straight over this opponent at this venue, where they have now won six of their 15 contests against England. 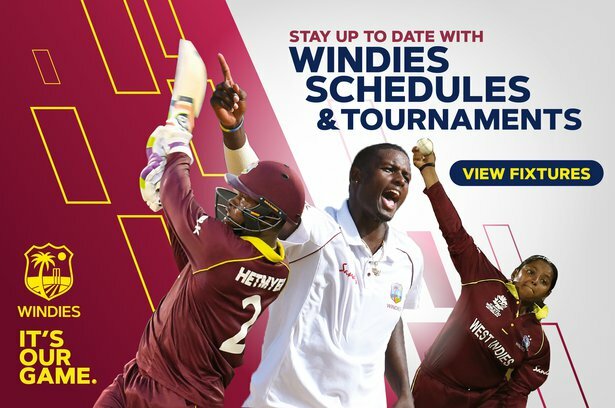 The result meant that the WINDIES take a 1-0 lead in the three-Test series, which continues with the second Test, starting this coming Thursday at the Vivian Richards Cricket Ground in Antigua. The series concludes with the third Test at the Daren Sammy Cricket Ground in St. Lucia, starting on Saturday, February 9. 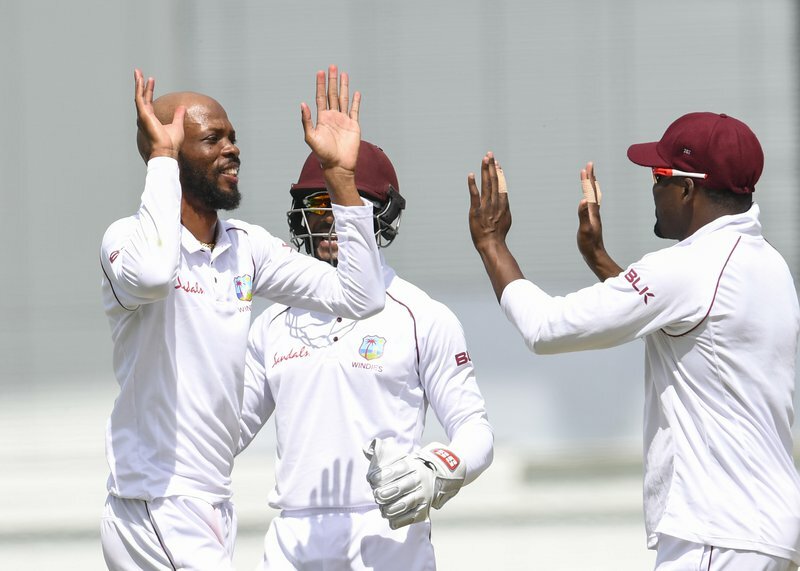 WINDIES held all the aces, after England resumed from their overnight total of 56 without loss, chasing 628 for victory, facing a mountainous task over two days to hold out for a draw. 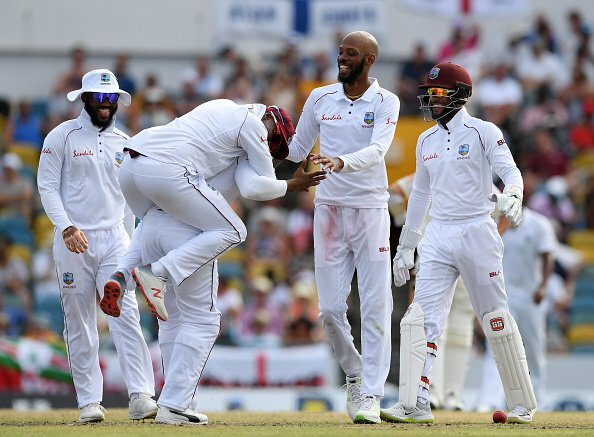 Strike bowlers Shannon Gabriel and Kemar Roach failed to make early inroads and WINDIES had to wait 45 minutes for the breakthrough, as openers Keaton Jennings and Rory Burns showed a bit of defiance to convert their overnight partnership to 85. Alzarri Joseph struck the first blow however, when he had Jennings caught at second slip for 14, driving loosely at a full-length delivery. Top-scorer Burns, whose 84 from 133 balls in close to 3 ½ hours at the crease included 15 fours, and Jonny Bairstow continued to resist and looked likely to carry the visitors through to lunch. But WINDIES captain Jason Holder swung Chase around the Joel Garner End (north) to the Malcolm Marshall End (south) and it paid dividends, when the tweaker bowled Burns with the penultimate ball before lunch to leave England 134 for two at the interval. 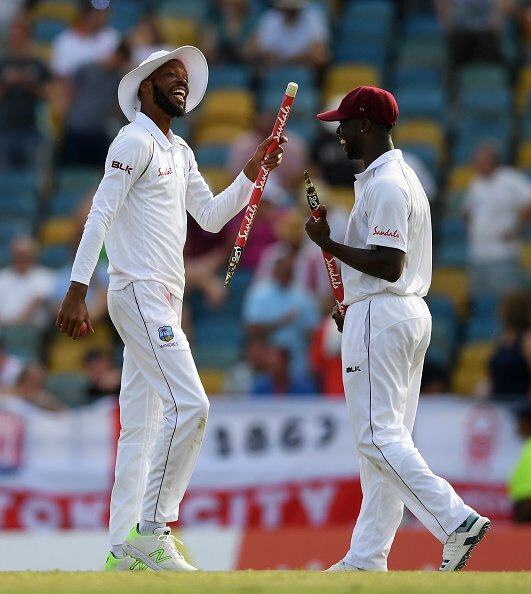 Four wickets – three to Chase – between lunch and tea carried WINDIES closer to victory, as the home team looked to make the most of a wearing pitch to wrap up victory. Chase grabbed the key scalps of England captain Joe Root and left-handed talisman Ben Stokes, as well as Moeen Ali, to leave the visitors wobbling on 217 for six at tea. Gabriel made the first strike for WINDIES in the third over after lunch, when he had Jonny Bairstow caught behind down the leg-side for 30. In his previous over, Gabriel had Root, on one, caught at second slip, fending away a short, sharply rising delivery off a no-ball, rattling the England captain with a succession of bouncers. Gabriel’s lost was Chase’s gain however, as the spinner had Root caught at slip for 22, trying to steer a delivery to third man. Stokes and Jos Buttler stemmed the fall of wickets with a stand of 48 for the fifth wicket, but Chase struck in successive overs to further put the skids on England. He had Stokes lbw for 34 – a review from the batsman failed to earn a reprieve – and on the stroke of tea, Ali copped a pair for the match, when he guided the eighth delivery he faced to second slip. After tea, there was token resistance to Chase, in particular, and the rest of the WINDIES bowlers from the remaining England batsmen. In successive overs and to a succession of brilliant catches, Chase had Buttler caught low down at mid-wicket by a flying John Campbell for 26, Ben Foakes caught at forward short leg by an alert Shimron Hetmyer for five and Adil Rashid caught at deep mid-wicket for one by Kraigg Brathwaite running over the boundary and back to take a juggled catch. WINDIES captain Jason Holder was named Player-of-the-Match principally for his second innings double-hundred that put his side on track for victory.